We envision the day when young people growing up in Sunflower County, Mississippi, have access to the same educational opportunities as children anywhere in America. 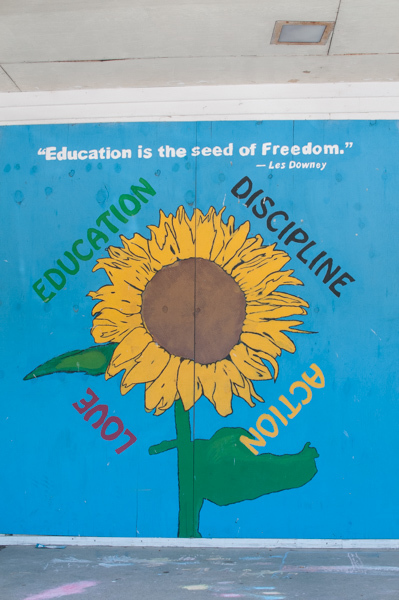 At the Sunflower County Freedom Project, we believe that education is the seed of freedom. Our students, staff and interns all speak in the language of LEAD: Love, Education, Action and Discipline. Without a challenging, achievement-oriented education, children in the Mississippi Delta will be as powerless in the future as were illiterate sharecroppers in the twentieth century. The Freedom Project is an independent non-profit organization dedicated to educational excellence and leadership development in Sunflower County, Mississippi. We use the history and spirit of the 1960's freedom struggle to motivate young people to become capable and compassionate leaders in their communities. The Freedom Project was founded by Chris Myers Asch, Shawn Raymond, and Gregg Costa in 1998. All three had served as Teach for America/Americorps teachers in Sunflower County and were thus acutely aware of the need for an educational program that would challenge and engage young people in the area. Initially a summer program held at Mississippi Delta Community College, the Freedom Project grew into a year-round fellowship with a residential summer program at the University of Mississippi. In 2002, we purchased two abandoned buildings in Sunflower, Mississippi, and built the LEAD Center, a permanent home for all our programs. Now in its 19th year, the Freedom Project offers middle and high school students intensive academic enrichment, mentoring, educational travel, physical education, drama performances, and art classes. Eleven consecutive classes of Freedom Fellows have graduated from Sunflower County high schools and enrolled in colleges around the country. Kate hails from northern Vermont and attended Tufts University in Boston, Massachusetts. She received both her bachelors of science and her masters of education as a Jumbo. Before moving to the Delta, Ms. Gluckman coached basketball and taught physical education at Grinnell College in Iowa for five years. She joined the Freedom Project in 2013 as a volunteer and in 2014 she became a program director in charge of middle school novel studies and drama! In 2016, she became executive director and loves the opportunity to work with community partners and funders to ensure the Freedom Project continues to inspire and create young leaders in the Mississippi Delta. Mrs. Stevenson is a proud product of the Mississippi Delta by the way of Greenville, MS. Mrs. Stevenson received her undergraduate degree from Spelman College in Atlanta, GA. After her journey at Spelman College Mrs. Stevenson joined the 2014 MS Delta Teach For America Corps, where she was able to return home to Greenville and teach in her former education system (GPSD). Mrs. Stevenson went on to attend Delta State University where she received a Master's of Community Development and a Master's of Social Justice and Criminology. Before joining the Freedom Project family in 2018, Mrs. Stevenson taught in the Mississippi Delta for four years.She is extremely excited about the work that the Freedom Project does and loves making life long connections with Fellows, so that one day they are able to return and pass on the same love, guidance, and joy to future generations. 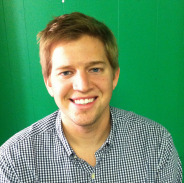 Nick taught fourth grade math in Clarksdale, Mississippi for two years as part of the Teach for America program. Inspired by the mission and spirit of the organization, Nick joined the Freedom Project in 2011. His favorite memories of his time in Sunflower include camping trips, logic problems, study sessions, drama performances, shout outs, capture the flag, and football on the slab. Nick lives in New York where he continues to be involved in mentoring, strategy, and fundraising for the SCFP. Out-of-school-time programming has been a part of Chris Perkins' success since the 7th grade when he joined the Sunflower County Freedom Project. Chris often says that for him “Freedom Project staff took a shy D student who had never really considered being anything more and turned him into an outspoken A student who could seriously consider college.” After graduating from the Freedom Project, Chris moved to Kentucky to attend Berea College and graduated with a degree in African and African American Studies. After college, Chris returned to Mississippi to work as the Program Director of the Freedom Project. Since then, Chris has moved to Washington DC and has served as Higher Achievement's Lead Manager of Instruction, where he assisted in recruiting and managing more than 70 volunteers, as well as transforming the Ward 7 Center into the organization's first single school site. Currently Chris is Higher Achievement’s Manager of Volunteer Recruitment and Development where he recruits and trains more than 400 volunteers and manages corporate partnerships. Jamie is a native New Orleanian, but has called the Delta home for almost two decades. Jamie practices law in Cleveland, Mississippi where she has also devoted her time to helping her community through organizations like the Delta Arts Alliance, the Literacy Council and the Junior Auxiliary. Jamie and her husband Will have also actively mentored children through a JA/Cleveland School District mentoring program. Jamie is thrilled to be a part of the work the Sunflower County Freedom Project is doing in Sunflower and beyond. Vaish taught in Greenwood, Mississippi for two years with Teach For America and worked in data analytics for KIPP New Jersey. She joined the Freedom Project in 2013 and served as director for three years. Her favorite parts of the job include the camping trips (minus the mosquitos), singing in the van, yoga club, and visiting colleges with Freedom Fellows. Vaish is currently attending the University of Michigan where she is pursuing both an MBA and a tolerance for cold weather. An Indianola native, Shequite is happily married with three beautiful children who continuously teach her the power of love and family. Shequite has worked for Delta Health Alliance (DHA) for 5 years and now serves in the capacity of Community Health Liaison. 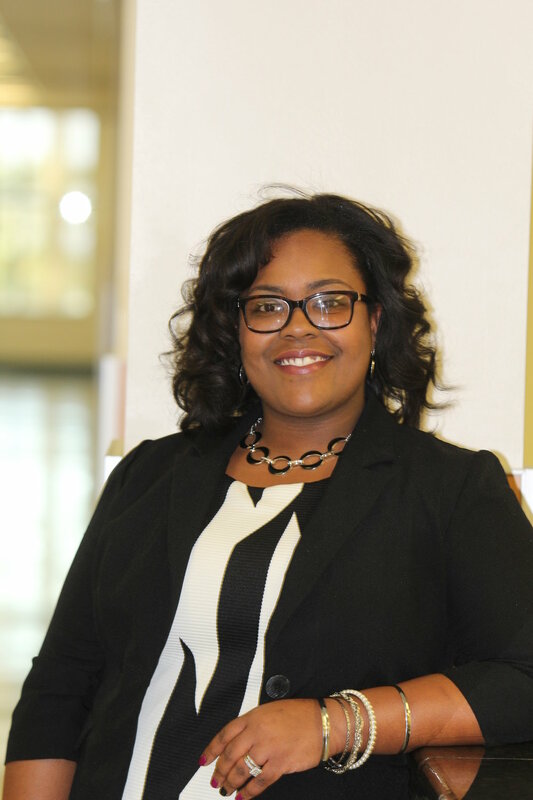 She is enrolled in the graduate program at Mississippi Valley State University, studying Rural Public Policy and Planning with a concentration in Non-Profit Management. With the proper education and experience, Shequite plans to continue working in the non-profit sector and eventually run for office in Sunflower County. She serves on Save the Children Policy Council, acts as a CARES mentor at Lockard and Carver Elementary School, and leads the Girl Scout troops # 30200 and 30123. She is passionate about helping youth and LOVES being a mother. Thad is a native of Sunflower, MS and currently resides in Indianola, MS. 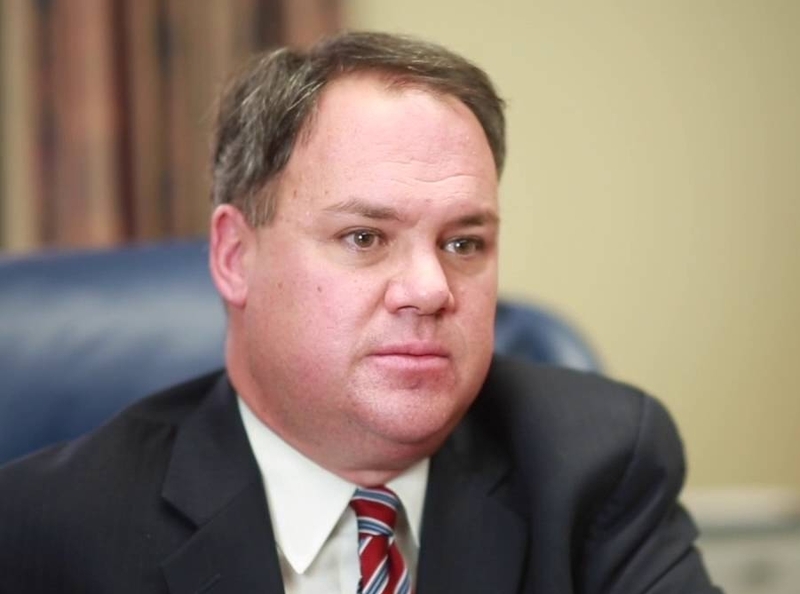 He serves as the Mississippi Delta area Program Officer for Hope Federal Credit Union. 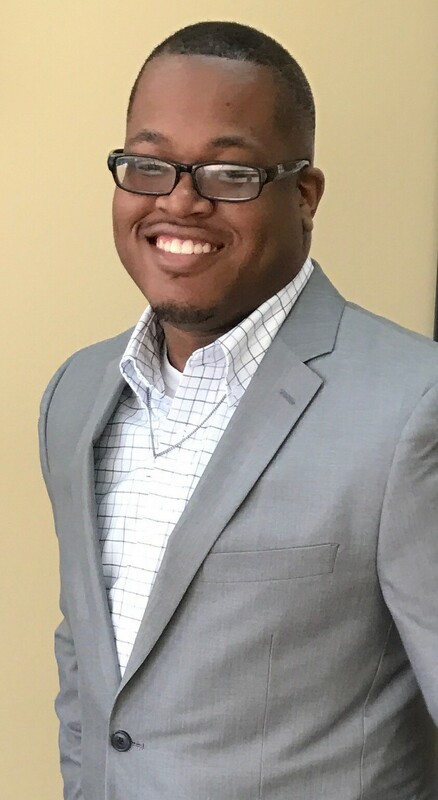 In this capacity, he is responsible for a variety of duties including membership outreach to community organizations, churches, and employers; developing partnerships with groups that can provide business outcomes with HOPE’s financial products and services; credit counseling and financial education to HOPE members. He also assists the organization with managing investor relationships by discussing the impact that Hope has in the Delta. Thad’s career, prior to joining Hope in 2015, consisted of 5 years in the areas of banking, sales, and collections. He is a an Honors graduate of Mississippi Valley State University, where he served as the President of the Student Government Association. 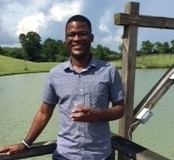 He is currently pursuing his Masters of Science in Non Profit Administration with a specialization in Non-Profit Development from Louisiana State University at Shreveport. He and his wife of 6 years, Felicia, have two sons, Thad Jr and Joshua Rashad. 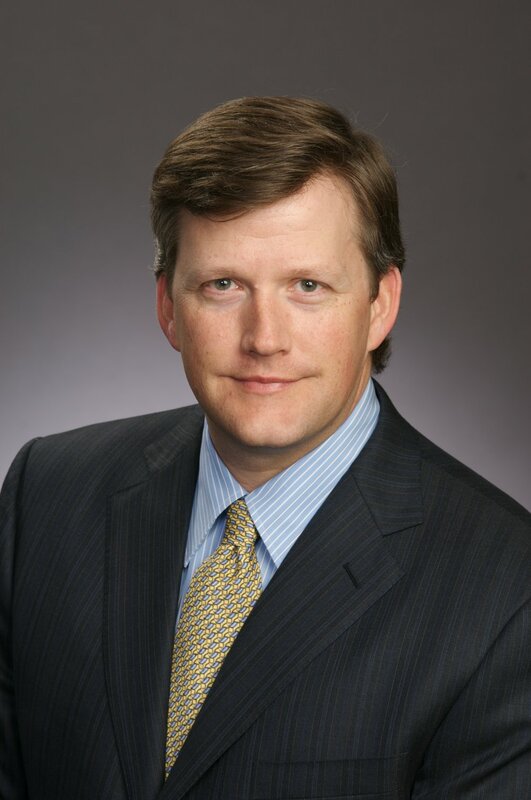 A native of Beaumont, Texas, Trey is a successful attorney and partner at Susman Godfrey LLC in Houston, TX. He graduated with Honors from Princeton University and from University of Texas School of Law, where he was Managing Editor of the Texas Law Review, Order of the Coif, and a Chancellor. After law school, Trey clerked for the Honorable Joseph T. Sneed on the Ninth Circuit Court of Appeals in San Francisco, California. Trey has been active on non-profit boards in Houston for many years, including the Alley Theater. In his spare time, he is an avid fly fisherman and snow boarder and participates in triathlons. Trey learned about the SCFP from co-founder, and Susman Godfrey colleague, Shawn Raymond and has been a long-time supporter of the organization before joining the board in May 2018. A native of Washington, D.C., Chris Myers Asch came to Sunflower with Teach For America in 1994. After four years in the classroom (including a year in South Korea), he helped launch the Freedom Project in 1998 and ran the program until 2006. He has done many things since – earned a doctorate in history, worked to build the U.S. Public Service Academy, wrote a book, taught at a university – but his best job may always be the years he spent as “Mr. Myers,” the head of the SCFP. He and his wife, Erica, have three children. Shawn taught a variety of subjects at Ruleville Central High School for two years as part of the Teach for America and Americorps programs. While in law school, he teamed up with his former TFA roommates, Gregg and Chris, to create the Freedom Project. He’s a partner at Susman Godfrey L.L.P. in Houston, Texas – a law firm that successfully recruited him by making what at the time was the largest single donation the Freedom Project had ever received. Shawn enjoys taking his three little boys for visits to Sunflower to see the incredible things happening at the Freedom Project. Gregg taught 3rd and 4th grade for two years at East Sunflower Elementary as part of Teach for America. Gregg and Freedom Project Co-Founder Chris Myers were the first Teach for America teachers ever placed in the town of Sunflower. After his time in Sunflower, Gregg returned to his home state of Texas to attend law school and practice law. Gregg is now a federal judge in Texas, where he relies on the classroom management techniques he learned in the Delta to help control a group that is far more unruly than his former students--lawyers. From highway 49W, enter the Town of Sunflower on Martin Luther King, Jr. Blvd. Follow the road until you reach the first stop sign. At the stop, make a Left through town. At the first stop, make a right. The LEAD Center is the large white building on the right. From highway 49W, enter the Town of Sunflower on Quiver Road. Follow Quiver until you reach the first stop sign. Continue through the stop. At the next stop sign, make a right. The LEAD Center is the large white building on the right.